As I mentioned in my last post I am going to post weekly, so I’m calling this my “Project 52”! Â The first week of the year simply flew by, as I’m sure the other 51 will too! These two boys are my highest priority and I am SO very thankful that I have been given the opportunity to be their Mama! Every December/January my husband and father-in-law calve out first time heifers. Â They check them multiple times in the day and at night to ensure that they don’t have any trouble having their calves, if they do they help them out. Â This morning when it was evident that there wouldn’t be time to attend church because of a missing baby calf that was born in the night we all loaded up to look for this baby among tall grass and lots of yucca plants. Â It was a great time of fellowship in the ole’ feed trunk together as a family, teaching our boys how important it is to understand that this land and these animals are the Lord’s and we are just lucky enough to get to care for them. This week we celebrated three birthdays, first was for our niece, Natalie Brynn, (see her Mom’s great blog here!) 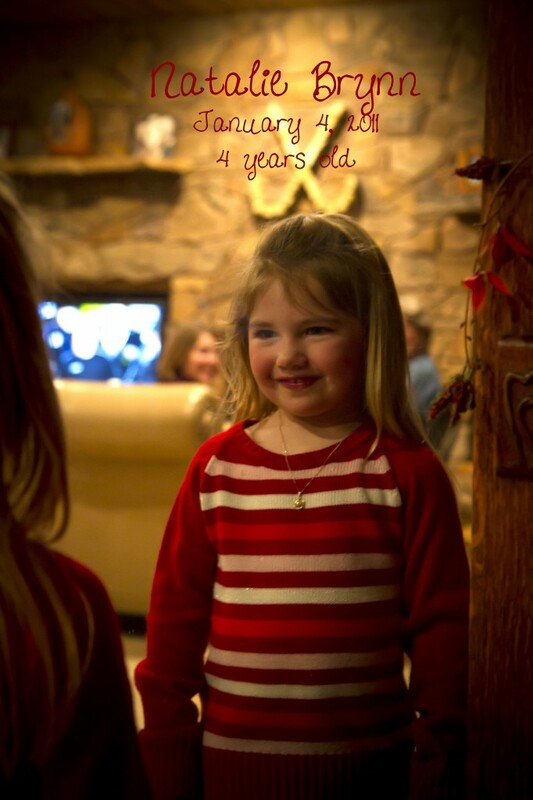 who turned four on January 4, 2010. Â She is growing up so quickly, as are her brothers, Isaac and Rhett! Â The boys got to spend a long Christmas week playing with their cousins and celebrating Nat’s birthday! Â Here she is wearing the real pearl necklace from that was her Gramme’s when she was a little girl! We celebrated Nanny’s (Willa, Troy’s mom) birthday on 1.5.10. Â The boys and I spent all day making homemade cookies and homemade crafty things for her! Â They love to cook…but Bryce would much rather eat the dough and the cookies right out of the oven than give them away…even if it is for Nanny’s birthday! Last year we were able to spend a lot of time with the Wilson family, you have seen their beautiful family here . Â We consider ourselves very fortunate to call these honest, hardworking, down to earth folks our friends! Â They have two beautiful children; Eleck and Cole will be in the same class as were their Daddy’s almost 16 years ago! Â Keeping up with tradition Bryce tried to eat all of the cake and cupcakes he possibly could before we left, he is defiantly my little sweet tooth. As you can see our year is off to a busy and fun start! Â I am excited to get finished up with “2010” business things so I can throw myself into 2011 fully and of course capture photos for you and your family! Becky Smith - I have tears in my eyes as I finish reading your latest post. As I sit amongst the clutter and chaos that is my home these days, I am thankful thankful for your reminder of what an important job this mothering stuff is! Great post. I look forward to next week! Kimberly - Thanks Becky! We sure miss y’all tonight but hope you are feeling better! Clutter and Chaos is part of raising kids, especially happy ones!!!! 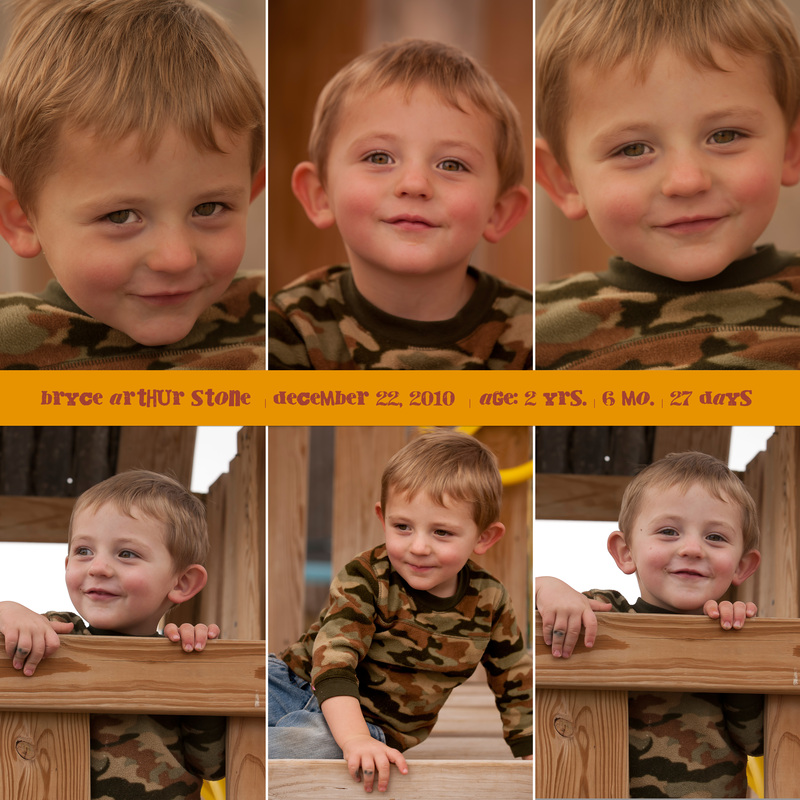 I am just overwhelmed at how fast 2011 has arrived, my oldest son will turn 5 in April and Â start school in August, that just is simply NOT possible. Â There is no doubt we are in for an exciting year personally as well as for Tall Blonde Photography! Last month we launched the plan for the 2012-2013 Cowboys for Cancer Charity Calendar. Â I will be enjoying all of my usual family sessions and weddings, but will also be putting a lot of focus into this amazing charity! Â I am so inspired by the response we have already gotten about the calendar! Â If you would like more information please e-mail me at tallblondephotography@gmail.com. In addition to the calendar you can expect to see at least 52 posts, one for every week, on the Tall Blonde Photography site! 1. Â Spend more time with the Lord. 2. Â Spend more time LOVING and APPRECIATING my family and the little things in my life. 3. Â Publish the 2012-2013 Cowboys for Cancer Research Calendar. 4. Â Photograph my sweet children and husband at least once a week, include photos of me with my family! 5. Â Spend more time on the ranch with Troy and the boys. 9. Â EXERCISE and eat HEALTHY at least 5 days a week! I am sure as the year unfolds you will be seeing posts about these 9 goals as well as lots of other things! Â No doubt 2011 is going to be great! From our family to yours Happy New Year! Here is one of my favorite non-people photos of 2010! Â EAT BEEF!!!!! As Christmas day quickly approaches I am so thankful to be a Child of God and for all of the blessings that He has bestowed upon me. 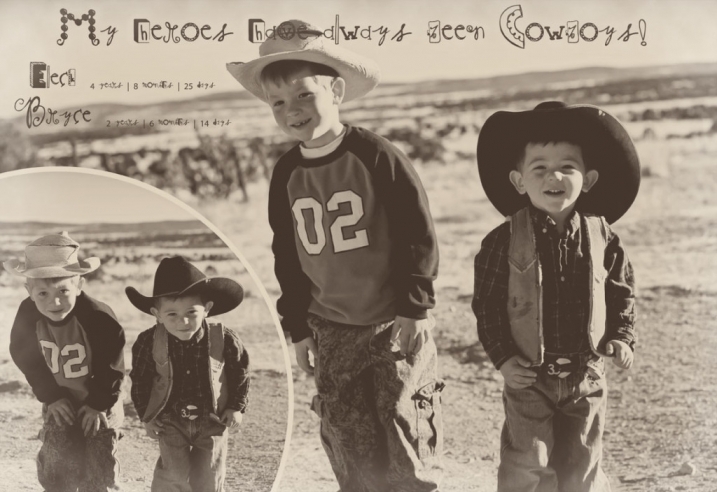 Â The two little boys that Troy and I have been given continue to amaze us daily! Â They are happy, healthy, smart and so full of life. Â I hope that each of you all are surrounded by those that you love the most this Christmas season. The wedding was held at a beautiful bed and breakfast in Albuquerque called Casa de Suenoes. Congratulations Ted & Dee Dee! Â May you have a wonderful first Christmas together!